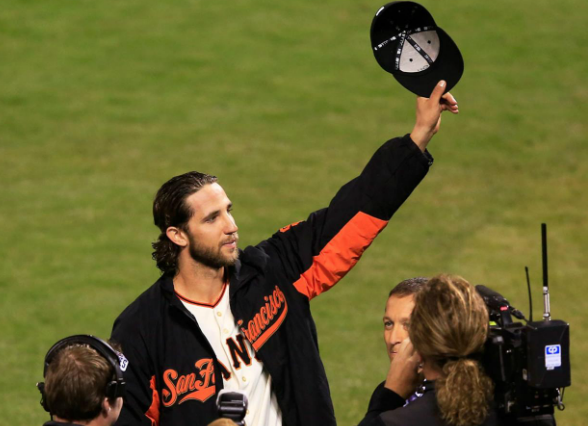 So October 2014 is officially owned by Madison Bumgarner. Savor this amazing post season. It is important to separate Postseason and World Series accomplishments. It is the purist in me. Yordano Ventura dominated the Giants with 7 shutout innings, allowing just 3 hits and forced a game 7 with a 10-0 victory in Kansas City. Lorenzo Cain drove in 3 runs, scored another, doubled and reached base 4 times, leading the Royals offense to the 10-0 season saving thrashing of San Francisco. Madison Bumgarner‘s complete game shutout tonight was obviously worth his title of Owning October and the World Series tonight. But it did more than that. His 5 1/2 WOO (Who Owns October) total for the post season can not be passed. With only 2 games left, nobody can pass Bumgarner. Hunter Pence, Lorenzo Cain and Yusmeiro Petit all have a total of 3. Even if they pick up a WOO the last 2 games, they can not pass Bumgarner. Madison Bumgarner continued his October dominance with his second complete game shutout of the month and second win of the series. He allowed just 4 Kansas City hits, walked, none and struck out 8, giving the Giants a 5-0 victory. Brandon Crawford got 2 hits and drove in 3 runs, leading the Giants offense to beat the Royals 5-0. James Shields kept the Royals in the game with 6 solid innings, working out of jams and let up just 2 runs. He would be the hard luck loser to the Giants 5-0. 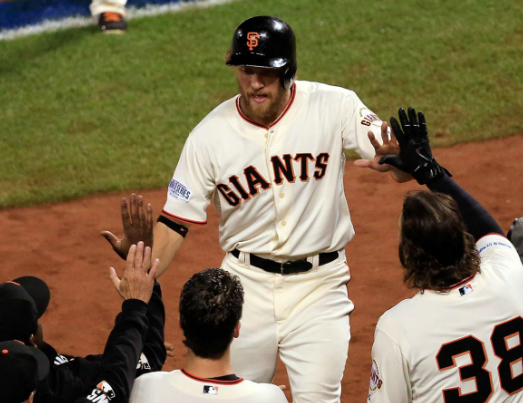 Hunter Pence, went 3-5, drove in 3, beat out a double play grounder to let another run come in, scored twice and played terrific defense in the Giants surreal 11-4 victory against Kansas City. Yusmeiro Petit was his usual dominating self, giving the Giants 3 shutout innings of relief and contributing a basehit as well. He got the 11-4 victory over the Royals. Salvador Perez collected 3 hits including an RBI single in the third that gave the Royals a 4-1 lead. The Giants would eventually respond with 10 unanswered runs and win 11-4. 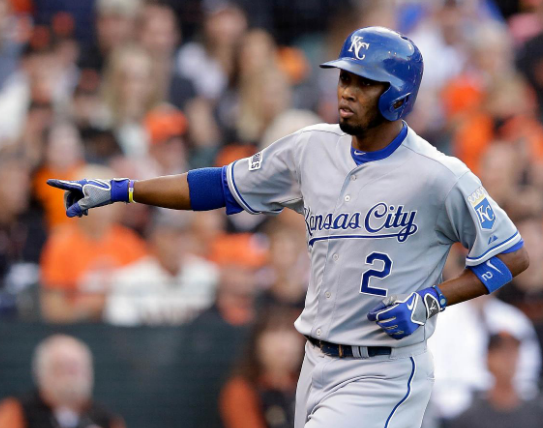 Alcides Escobar doubled on the first pitch of the game and scored a pair of runs, helping the Royals edge the Giants 3-2. Greg Holland needed just 8 pitches to dispatch the heart of the Giants order in the bottom of the 9th, making a terrific play on the final out of Kansas City’s 3-2 victory. Michael Morse came off the bench to drill a pinch hit RBI double and came around to score. That would be all the Giants offense as they lost to the Royals 3-2. Kelvin Herrera threw 1 2/3 key innings in relief, allowing no hits and earning the 7-2 win for the Royals over San Francisco. 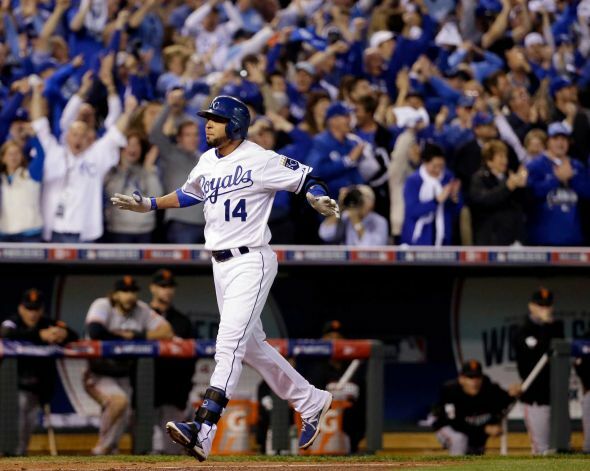 Omar Infante made several solid defensive plays, doubled and hit a back breaking 2 run homer that put the 7-2 victory for the Royals over the Giants on ice. Gregor Blanco led off the game with a home run to right. The Giants momentum would not last as they lost 7-2 in Kansas City. Receiving 1 WOO’s and WOWS. Madison Bumgarner continued his post season dominance by throwing 6 shutout innings before letting up his first ever World Series run. He would get the win, throwing 7 innings of 1 run, 3 hit, 1 walk ball, earning the 7-1 decision for the Giants in Kansas City. 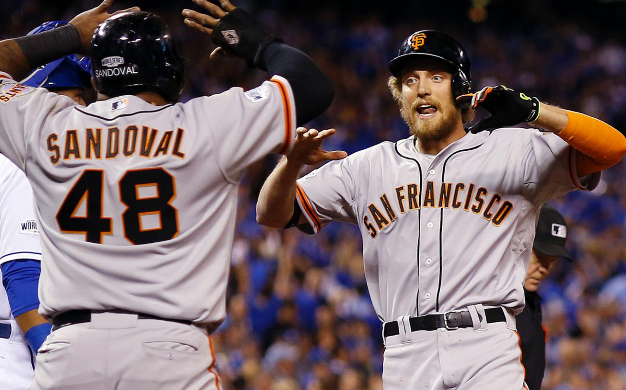 Hunter Pence clocked a 2 run homer that gave the Giants a cushion in the first inning. He reached base 4 times, also getting a double and scoring a pair, leading the Giants to a 7-1 Game 1 thrashing of the Royals. Salvador Perez homered in the 7th for the Royals only run in their 7-1 loss to San Francisco. Travis Ishikawa hit the dramatic, pennant clinching 3 run homer in the bottom of the 9th to down the Cardinals and send the Giants to the World Series, 6-3. 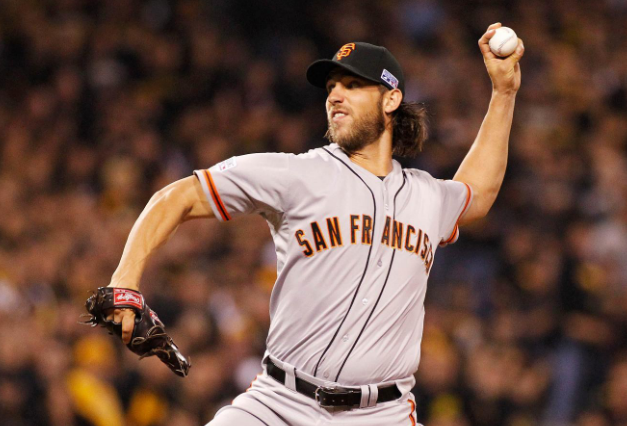 Madison Bumgarner gave the Giants 8 strong innings, allowing just 5 hits and 3 runs. 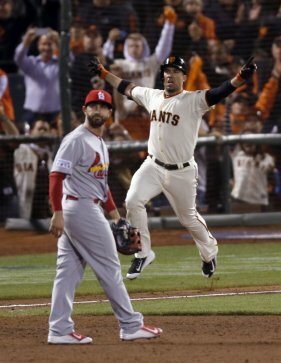 He didn’t get the win but set up the Giants 6-3 clincher over the Cardinals and earned NLCS MVP honors. Jon Jay collected 2 hits, including a double, drove in a run and played solid defense in the Cardinals 6-3 loss in San Francisco. Adam Wainwright was excellent over 7 innings, allowing 4 hits and 2 runs, striking out 7 and left with the lead. The bullpen would blow the game and the Giants would eliminate St. Louis, 6-3. 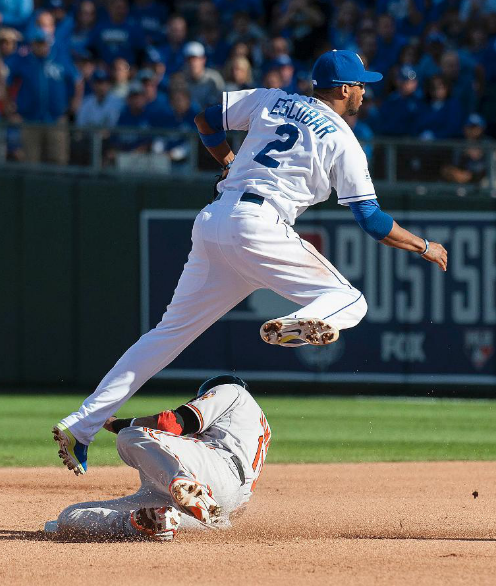 Alcides Escobar went 2-4, scored a run and kicked the ball out of the catchers glove to score another and then started a pair of double plays, helping the Royals clinch the pennant with a 2-1 win against Baltimore. Yusmeiro Petit was brilliant again out of the bullpen, giving the Giants 3 innings of 1 hit shutout ball and earning the 6-4 decision against the Cardinals. Jason Vargas allowed just 2 hits and struck out 6 in 5 1/3 innings while getting the pennant clinching 2-1 win over the Orioles in Kansas City. Ryan Flaherty homered in the third, which proved to be the Orioles’ last run of the year as they lost the game 2-1 and the series to the Royals. Kolten Wong doubled and homered, scoring a pair of runs, in the Cardinals 6-4 loss in San Francisco. Travis Ishikawa drove in 3 runs with a towering bases clearing double in the first innings. Without that big inning, the Giants would not have been in a position to top the Cardinals, 5-4 in 10 innings. Lorenzo Cain made a fine catch for the second out in the 9th inning, collected a pair of hits and scored the tying run as the amazing Royals won again, 2-1 over Baltimore. Jason Frasor earned the decision in the 6th inning by retiring Baltimore’s best hitters, Jones, Cruz and Pearce, in order and setting up the Kansas City go ahead rally which led to a 2-1 final. Santiago Casilla continued his dominant pitching with a 9 pitch ninth inning that would set up the Giants 5-4 victory over the Cardinals in extra innings. Kolten Wong doubled and tripled, driving in 2 runs in the Cardinals 5-4 extra inning loss in San Francisco. 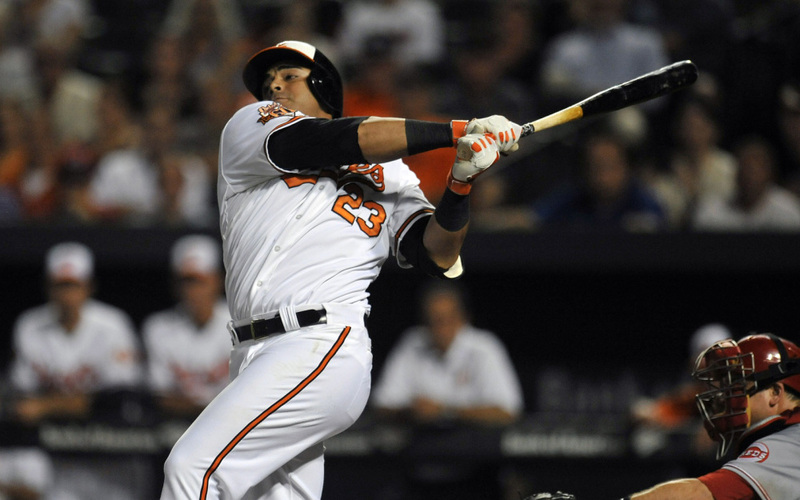 J.J. Hardy doubled home the Orioles lone run in their 2-1 loss to the Royals. Madison Bumgarner added to his outstanding post season numbers by pitching 7 2/3 shutout innings allowing just 4 hits, and 1 walk while striking out 7 Cardinals, earning the 3-0 win for the Giants in NLCS Game 1. Lorenzo Cain collected 4 hits, including a double, stole a base and singled home a run in the Royals game winning 9th inning rally for a 6-4 final in Baltimore. Greg Holland closed out the Orioles with a shutout inning that sealed the Royals 6-4 ALCS Game 2 win. Pablo Sandoval got 3 hits, including a strange double to right field and scored to lead the Giants to a 3-0 victory over the Cardinals. Jon Jay reached base 3 times, including a pair of hits, but didn’t score as the Cardinals lost 3-0 to the Giants. Adam Jones went 2 for 5 including a game tying 2 run homer in the Orioles 6-4 loss to Kansas City. 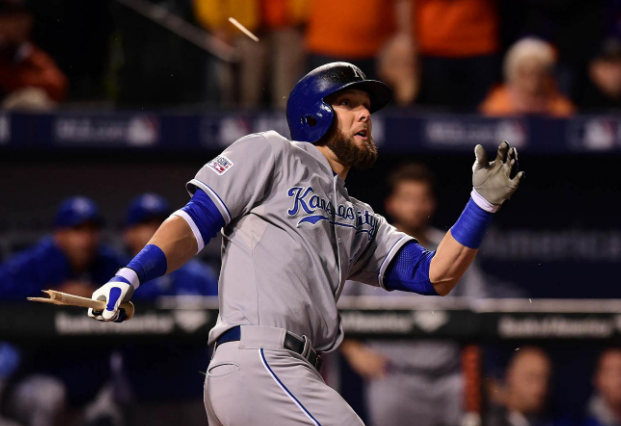 Alex Gordon got 3 hits including a broken bat 3 run double in the third and the go ahead home run in the 10th. He also made some fine defensive plays in the Royals 8-6 extra inning win in Baltimore. Wade Davis kept the Orioles from scoring in the critical 8th and 9th innings. He faced the minimum 6 batters, striking out 4, allowing nobody to reach and struck out Cruz to end the 9th. He earned the decision in Kansas City’s 8-6 ten inning win. Ryan Flaherty got 3 hits, scored and drove in a pair with a 2 run, 2 out single in the 5th. The Orioles would come up just short as Kansas City won in 10, 8-6. 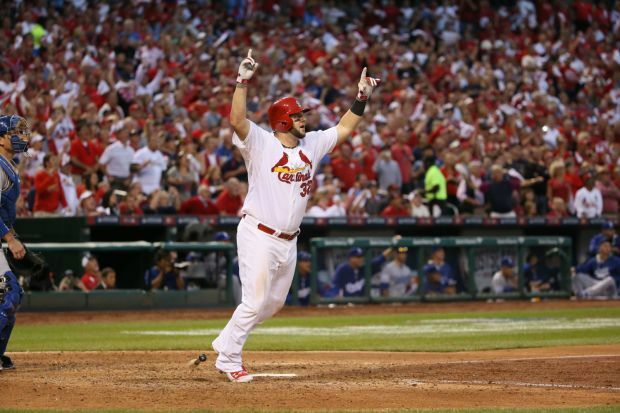 Matt Adams hit a dramatic 3 run homer off of baseball’s best pitcher to turn a 2-0 hole into a 3-2 lead and propel the Cardinals to a series clinching 3-2 victory over the Dodgers. Pat Neshek gave the Cardinals a critical shutdown inning after they took the lead and helped the Cardinals clinch the Division Series in 4 games over Los Angeles with a 3-2 win. Hunter Pence reached base twice and made the defensive play of the night leaping in right field for a highlight reel catch against the wall as San Francisco defeated Washington, 3-2. Ryan Vogelsong kept the Giants in the game with 5 2/3 innings, allowing just 2 hits and 2 walks and 1 run. He would not get the decision but helped eliminate the Nationals by a 3-2 final. Carl Crawford collected a pair of hits and scored a run for the Dodgers in their 3-2 loss to St. Louis. Bryce Harper doubled home a run, hit a towering game tying homer and got on base with 2 outs in the 9th. He would be stranded on base as the Giants eliminated the Nationals in a 3-2 final. Clayton Kershaw was throwing a masterpiece through 6, allowing 1 hit and no runs while striking out 9. The Cardinals struck in the 7th and a 3 run homer put him on the losing end of a 3-2 elimination of the Dodgers. Doug Fister saved the Nationals season with 7 shutout innings, allowing just 4 hits and got the 4-1 decision over the Giants. Bryce Harper reached base twice including a towering homer and was solid defensively, helping Washington beat the Giants, 4-1. 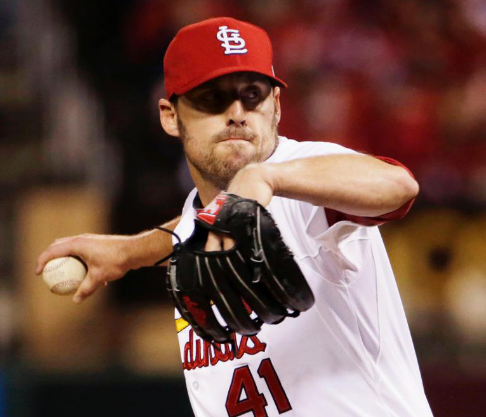 John Lackey pitched 7 strong innings, striking out 8, walking just 1 Dodger batter and allowing only 1 run while earning the 3-1 win for the Cardinals. Kolten Wong broke a 1-1 tie with a towering 2 run homer that was the difference in St. Louis’ 3-1 win over Los Angeles. Madison Bumgarner pitched, for the most part, like his dominating self, taking a shutout into the 7th. But his costly throwing error helped the Nationals rally for 3 and he ultimately got the 4-1 loss in San Francisco. Hanley Ramirez went 3-4 with an RBI double that produced all of the Dodgers runs in their 3-1 loss to the Cardinals. Hyun-jin Ryu gave Los Angeles 6 solid innings, allowing just 1 run and keeping the Cardinals from a big rally. The bullpen would lose the game, however, 3-1. Pablo Sandoval got a pair of hits, scored the Giants only run and made a nice defensive play in the Nationals 4-1 win in San Francisco. Zack Greinke gave the Dodgers 7 shutout innings, allowing 2 hits and 7 strikeouts. He would not get the decision as the bullpen blew the save, but he set up LA’s 3-2 win over St. Louis. 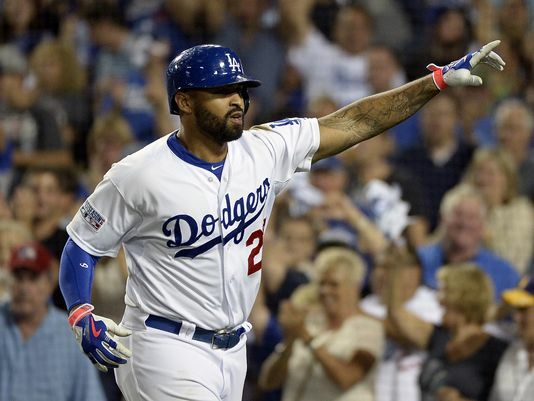 Matt Kemp got 2 hits including the tie breaking and eventual game winning 8th inning homer as the Dodgers beat the Cardinals 3-2. 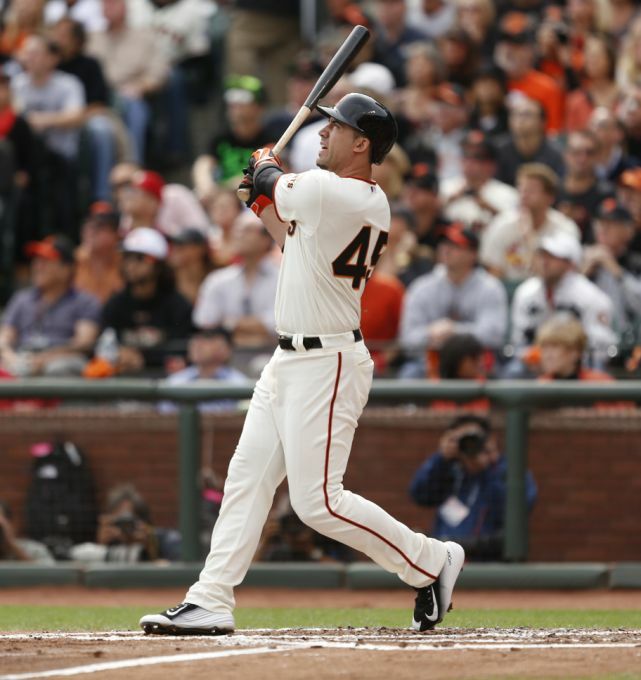 Buster Posey got on base 4 times including a critical game extending single in the Giants ninth inning rally that became a 2-1 final 18 inning marathon in Washington. Yusmeiro Petit pitched 6 innings of 1 hit, 7 strikeout shutout relief. Every single one of the 80 pitches he threw could have resulted in a walk off hit for the Nationals. Instead he helped secure a staggering 2-1 Giants win in 18 innings. Matt Carpenter reached base 3 times and clubbed a dramatic game tying 2 run homer in the 8th inning. The Cardinals would eventually lose to the Dodgers, 3-2. 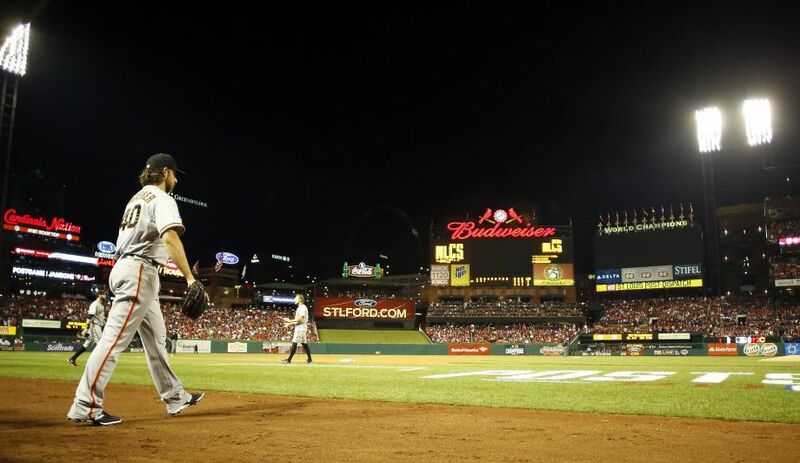 Lance Lynn struck out 8 in 6 innings, allowing only 2 runs and kept the Cardinals in the game. LA would eventually win, however, 3-2. Anthony Rendon got on base 5 times and drove in Washington’s only run in the 18 inning 2-1 loss to the Giants. Jordan Zimmermann came within one out of a complete game shutout (his second in as many starts and first since his no hitter) before he was pulled with 2 outs and a man on in the 9th. He allowed only 3 hits and 1 walk over 8 2/3 innings. The Nationals bullpen would surrender a run in the 9th and a second one in the 18th and the Giants won 2-1, giving Zimmermann a painful no decision. Matt Carpenter homered and then hit a bases clearing go ahead 3 run double in the 7th as the Cardinals pulled ahead to stun the Dodgers, 10-9. Kevin Gausman gave the Orioles 3 2/3 innings of 1 run relief that kept the Tigers from pulling away. Eventually Baltimore would come back to win, 7-6. Marco Gonzales was the winning pitcher of the most anticipated pitching match up of the year. His one inning of scoreless relief was one of the lone pitching highlights of the Cardinals 10-9 slug fest win against the Dodgers. Eric Hosmer got on base 4 times, scored a pair and launched the go ahead and eventual game winning 2 run homer in the top of the 11th, leading the Royals to yet another thrilling Royals postseason win. This one was 4-1 over the Angels. Joe Panik got an RBI single and later tripled and scored and played solid defense, leading San Francisco to a 3-2 victory against the Nationals. Jake Peavy threw shutout ball into the 6th, finishing with 5 2/3 innings allowing 2 hits and earned the 3-2 win for the Giants in Washington. 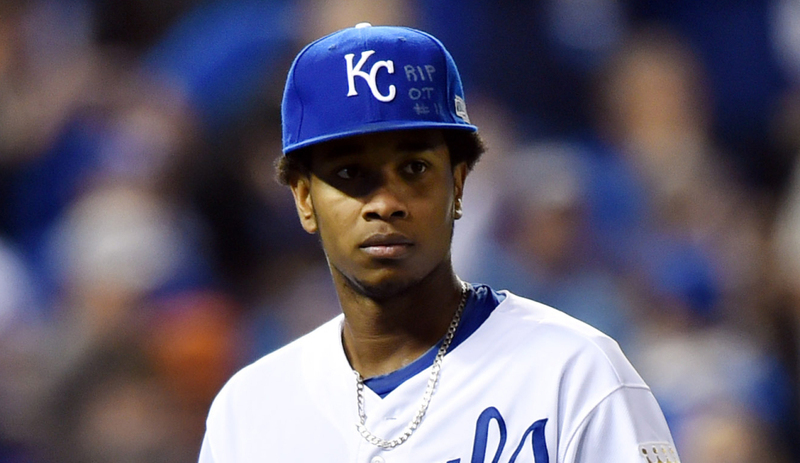 Yordano Ventura gave the Royals 7 strong innings, allowing 1 run and 5 hits. He would not get the decision but he set the stage for the 4-1 extra innings victory over the Angels. Delmon Young hit a pinch hit 3 run double that sparked a wild 8th inning Orioles come back that sunk Detroit, 7-6. Miguel Cabrera doubled and went 3-4 with a run scored. It wasn’t enough as the Tigers blew a late lead and fell 7-6 in Baltimore. Kole Calhoun got a pair of hits and scored the Angels only run in their 4-1 extra inning loss to Kansas City. A. J. Ellis went 4-5 with a homer, 3 runs scored and 2 RBI in the Dodgers shocking 10-9 loss to the Cardinals. Bryce Harper went 2-4 including a towering homer that put the Nationals on the board. They would lose to the Giants, 3-2. Matt Shoemaker did not allow an earned run over his 6 innings of work, walking none while striking out 6. He would not get a decision as the Angels would lose 4-1 in 11 innings. Nelson Cruz hit a 2 run homer in the first, drove in another in the 8th and scored year another run in the Orioles wild 12-3 beating of the Tigers. Andrew Miller struck out 3 in 1 2/3 key innings of relief as Baltimore opened the floodgates late and beat Detroit 12-3. Mike Moustakas reached base twice, scored twice and hit the tie breaking and eventual game winning homer in the 11th to lead the Royals to a 3-2 win in Anaheim. Jason Vargas pitched 6 innings, allowing 3 hits (2 solo homers), 2 runs and walked just 1. He didn’t get the win but helped set up Kansas City’s 3-2 extra inning victory against the Angels. Miguel Cabrera reached base twice and cut the Orioles lead to 1 with an 8th inning homer. The Detroit bullpen would have a complete meltdown in the 8th and lose 12-3. Chris Iannetta got on base twice and hit a homer in the Angels 3-2 extra inning loss to Kansas City. Jered Weaver pitched 7 strong innings, giving up just 3 hits and 2 runs. 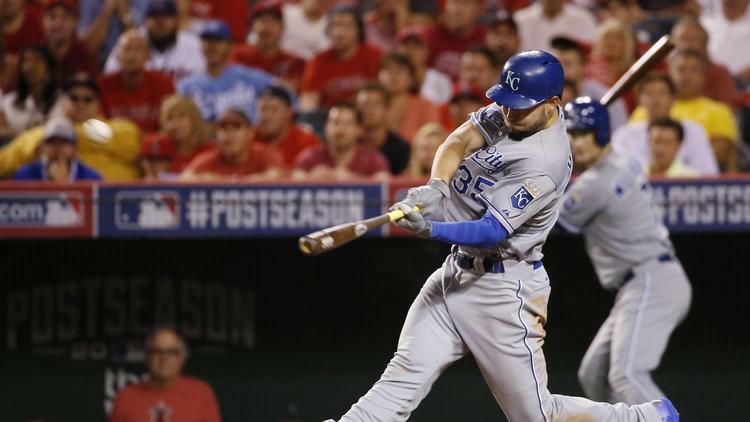 He would get no decision as the Angels dropped the game in 11 innings to the Royals, 3-2. Madison Bumgarner threw a 4 hit, 10 strikeout complete game shutout against the Pirates, shutting down one of the best National League lineups while leading the Giants to a 8-0 clinching of the NL Wild Card Game. Brandon Crawford may not have had the highest hit total, but his 4th inning grand slam took the Pittsburgh crowd out of the game, gave Bumgarner a big cushion and made the rest of the game a formality as the Giants coasted to an 8-0 win. Josh Harrison was the only Pirates hitter who wasn’t shut down, collecting 2 of the Pirates 4 hits. He would never score as San Francisco eliminated the Bucs, 8-0.